Now the Forensic Instincts team must race to uncover the identity of a serial killer before his ever-tightening circle of death closes in on Casey as the ultimate target. As the stalker methodically moves in on his prey, his actions make one thing clear: he knows everything about Casey. And Casey realizes that this psychopath won’t stop until he makes sure she’s dead. 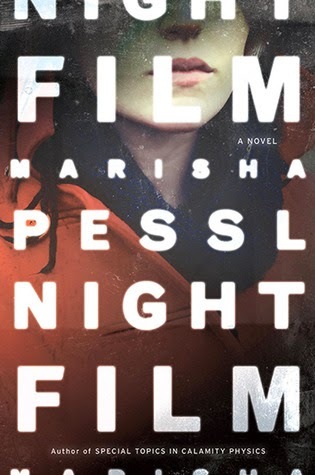 I think it's pretty comical that I was asked to review this because of my blog name, Red Headed Book Child, and the fact that the book is about a serial killer that preys on redheads. Why the heck not? 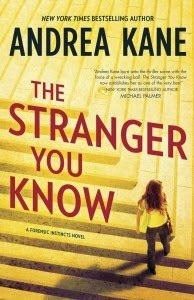 I have heard so many good things about Andrea Kane. Marce over at Tea Time with Marce has raved about her and we tend to have pretty similar tastes. I have to say this was a pretty decent read. It was pretty simplistic writing. Nothing overly in depth. Straight forward. It was fast paced enough to keep me going and I liked the whole idea of the Forensic Instincts Team. Andrea Kane's website describes the team as " an eclectic team of maverick investigators, each with different talents and personalities, all with one common bond—a blatant disregard for authority." I would have to agree with that. Whether they have psychic abilities or some other eclectic talent, I enjoyed that twist to the mystery. That is what stood out for me. I think fans of Paranormal romance even would like this. There are two others in this series and I'm certainly curious about them. If I'm looking for a quick, easy read I may pick them up. Like I said, I enjoyed it but it wasn't anything that made me think too much! Maybe that's a good thing every now and again. Thanks to Lisa for having me on this tour! I am just going to start by saying this book has the potential to be just as big as Girl with a Dragon Tattoo. It combines the gothic with the literary, with the suspense, with the mystery. It had it all...even a little romance, though not in the traditional sense. I did not read the author's first novel though it received great acclaim. I must say I was impressed with her superb writing style. She wrapped me up. It was hard to put down. Events get a little wacky right after the middle of the book but overall, it was a page turner and put together quite well. I liked that it included seemingly "real" newspaper articles, photos, blog posts, and police files. Having all that pop up throughout the book made it seem so realistic. I wasn't drawn towards any one character. They all had their own mystery to them and I was intrigued by them all. The director Cordova was haunting and intriguing and I was curious what all the hype was about. This was one of the books I selected for the R.I.P Challenge from Stainless Steel Droppings. I am happy I completed it in time! It definitely combines most of the genres listed for this challenge, combing a lot of gothic with a lot of mystery. A tragedy of passion and beauty—based on Puccini’s opera Madame Butterfly—Miss Saigon is set during the Vietnam War. 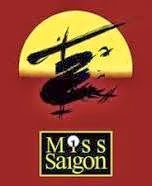 Alain Boublil and Claude-Michel Schonberg (Les Misérables) created another absolute masterpiece in Miss Saigon. Like Les Mis, Miss Saigon presents an array of inspiring music and lyrics which appeal to all our senses and emotions. Miss Saigon follows the love story between a young girl, Kim, and an American GI, Chris. Years after leaving Vietnam, Chris discovers his war bride Kim is still alive and is now raising his son. He returns to Saigon to find her, but with the Viet Cong closing in on the city and other ties at home binding him, Chris is forced to make some challenging decisions before leaving Vietnam again. This show has been on my radar for years. Several of my friends and family members have seen it and have raved about it. 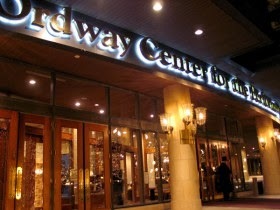 I took my theater buddy, Kim, with me again for the kick off to a new season of Blogger Nights at the Ordway. She is a teacher and has a degree in history so it was fascinating to get her take on the historical side of this show. I know about Vietnam about as much as a learned in school. I know a bit from my dad who was in the army. That's about it. Overall, the show was intense. Big dramatic songs, lots of chaotic scenes, noisy helicopter sound affects, powerful video of children of war. That was captured well. I, however, did not feel the love story. It was sudden and intense from the first moment and I just could not get into them as a couple who longed to be together. I think the power of the story was also lost due to it being an opera. Every word was sung and with that, there was no ebb and flow of feelings. It was intense all the time! And that got to be tiring. The "comic relief" numbers sung by the Engineer were okay but too long and didn't seem to fit with the story. I was not impressed with the actor who played Chris. His voice was a bit too forced and overly dramatic. As the show progressed he got better but the first number was too much. I really liked the actress who played Kim. She had an amazing voice and had the delivery that conveyed the necessary roller coaster of emotions she was feeling. I appreciated it. It was really worth seeing and I think the more theater I have the opportunity to see, the more I learn about the differences in how a story is really told. I recommend Miss Saigon. Don't let some of my negative comments influence you. I was also blowing my nose a lot from a bad cold and coughing up a storm. It demands to be seen. The history was interesting. The idea of it all was worth creating. And the ending...well, the ending is a tear jerker. Happy Viewing and as always, thanks for stopping by! You've heard from her before. 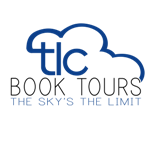 My book loving friend Cheryl gives her take on the latest award winning book by Louise Erdrich. Louise Erdrich has long on my list of authors to read, but The Round House is the first of her novels I read. The book description says the characters as “all-too-human.” Erdrich develops the characters in a way that one can identify with nearly all of them in some way. She beautifully captures the emotional depth of the characters and their relationships wtih each other. Joe, the main character, struggles with wanting to remain a free-spirited child while longing to be an adult; his father is trying to help his wife recover from her trauma and find her justice while trying to raise a boy; and his mother grapples with the memories of her trauma and knowing she and her life will never be the same. Joe’s devotion to his mother and wanting to know, and understand, all the details of what happened is the center of the story. This incident, whether he is fully aware or not, feeds into and marks changes his relationships with his parents, relatives, and friends. He wants to go back to the way things were but knows that is impossible. The setting of 1988 adds many layers to the characters and their relationships. Erdrich interweaves how women and Native Americans are treated and viewed in society, and how those complications affected the characters’ development and the story’s outcome. The Round Housemakes me want to read more of Erdrich’s books. Her realistic story and characters are easy to read but accurately depicts the complex situation of living on a reservation in a larger society with different rules and perspectives. At its heart, it is a coming of age story of a boy becoming a man and how the world is changing around him. Thanks again Cheryl for stopping by!